​Push notifications will alert your parents to school information whenever the information is most needed. Push notifications also increase engagement with your parents by avoiding lost notices and putting the message in the palm of their hand in an instant. With your own school app, you can send unlimited push notifications. 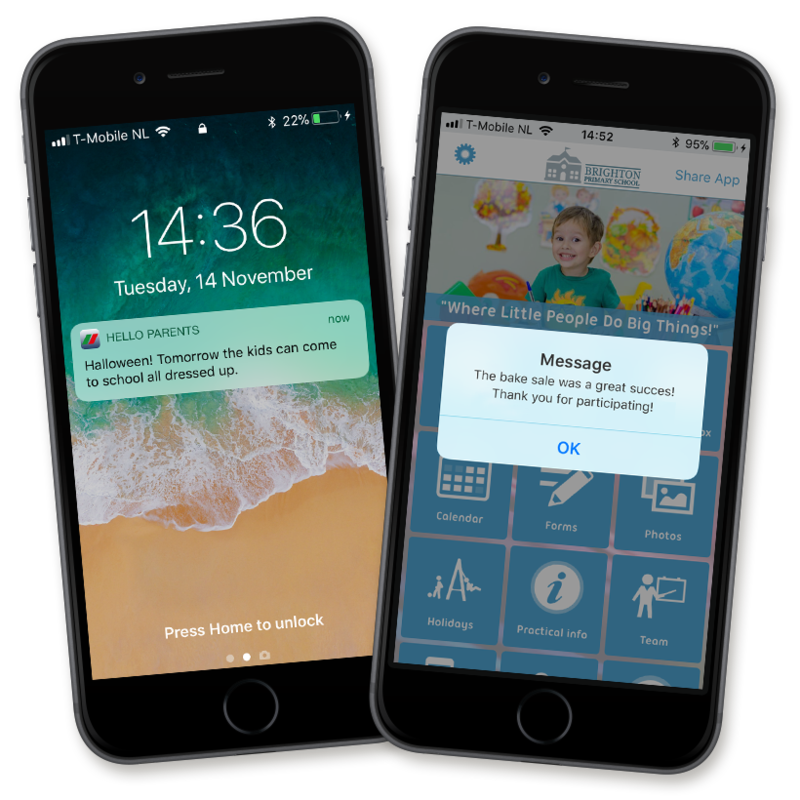 Push notifications can be sent to the whole school, different year groups or even individual parents and students. They become extremely handy when you want to notify your community about school closures, remind students about homework or even to award prizes for hard work!